Brainwashed - Jim Haynes, "Electrical Injuries"
While I doubt I would ever use the term "peaceful" to describe Jim Haynes' prolific solo output, this newest record makes his previous work seem just that. Electrical Injuries may not be far removed from his body of work sonically, but there is a different edge, a malignance to it, and one that is not so subtly referenced in the album’s title. With literal and metaphorical references to the unpleasant nature of electricity, this is perhaps his most harsh work to date, but one that clearly bears his signature brand of audio decay. Haynes’ work has always fit into the nebulous area of sound art: not quite music, but not pure noise either. This one leans a bit more into the latter, however. The instantaneous squealing electronics that open "Falling Through Ice" makes this tactic abundantly clear. Over an undulating, churning loop of electronics he casts out big, massive crashes of harsh distortion, as brutal or aggressive as anything from a Merzbow record. However, what sets it apart is that sense of complexity, his use of textural rotting sounds that are almost tactile in their depth. The dissonance relents a bit, revealing his trademark processed crunch and ghostly electronics rising from within. For as forceful and chaotic as Electrical Injuries can be at times, it never comes across as anything less than carefully composed and deliberately structured. Crunching loops make up the framework of "Choked on Brine," with some scraping and an almost guitar-like squall emanating from below. The structure and looped repetition gives the piece an obtusely musical quality: as the sounds rise and fall he carefully changes and adapts what is there, making for a diverse and multifaceted sounding composition. The painful buzz that aggressively opens "Operator" is befitting the record's title, as shortwave radio static is brought in, melded together into some sort of pseudo burbling electronic rhythm. The piece never becomes overly abrasive, but the sustained electrical hum that stays active is disquieting to say the least. The unpleasant electricity continues into "Acerbic, Convulsive", as strange tones drift in and out. Howling, shrill electronic moans are added in, increasing discomfort but also the wide variation of sound within the piece. 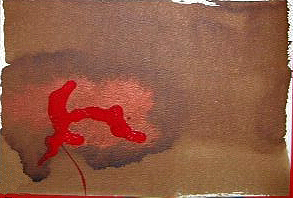 The lengthy conclusion to the album, "Autosuggestion", is perhaps its most calming moment, and that is speaking only in relative terms. Haynes again maintains sustained buzz, pulsating between loud and soft, but as a whole there is a slower, more pensive flow to the piece. Additionally, his employment of less distorted synth-like electronic noises is a more pleasant addition compared to the rest of the record. The sound builds to a nice crunch, with some additionally shrill noises added, before ending the album on a sputtering engine. 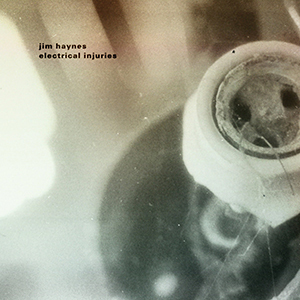 Although some of the song titles on Electrical Injuries would not be out of place on a grindcore album, Jim Haynes conjures the violent and the disturbing not via trite imagery or provocative, but from his sounds alone. The album is consistent with his fascination with decay (visually and audibly), but the greater sense of maliciousness pervades the record gives it a distinctly different feel than his other works. This stems largely from the brash, noise-laden edge to most of these six compositions, but also a general sense of the sinister that pervades it from beginning to end. The end product makes for a fascinating record that is quite often discomforting, but in the most enjoyable of ways.